Listening and respecting clients’ wishes, dreams and aspirations. Welcome to Swanson Health Insurance! As an independent life and health agent, Marilyn Swanson is pleased to announce that Swanson Health Insurance became an entity on June 1, 2016. 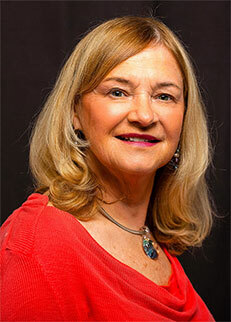 Marilyn is able to assist her clients and friends meet their Medicare, health, life and long term care needs. She has been actively working in the greater Houston-Galveston area since 2010 as a licensed agent doing what she loves best - helping friends and clients make the best insurance choices that fit their individual needs. I love my customers and welcome your feedback and suggestions. Swanson Insurance can help find the insurance that is right for you! Click here to learn more. We have worked with Marilyn for at least 6 years when she signed Harry up for Medicare. Even though I wouldn't have Medicare for another 5 years she advised me on my private insurance until I was eligible and got us started on a dental plan. Marilyn notifies us every year when it's time to select the best secondary and prescription companies, without us having to remember. She's on top of new regulations and benefits and we both recommend her very highly. Besides her health insurance expertise we were delighted to find out she also enjoys gardening, and gardening is one of our passions. We have exchanged "starts", bulbs, seeds, cuttings and discussed the pros and cons of different plants. It's always a joy when Marilyn visits. Marilyn is my go to person for info and questions about Medicare and Medicare supplement plans. I have recommended her to many of my friends and people I do business with knowing that she will and has taken very good care of them!. She is very knowledgeable and really cares about people. Marilyn Swanson is one person I never hesitate to refer to my friends and associates. That woman REALLY knows her insurance. She specializes in Medicare, and has helped many friends and family save money AND most importantly, have the correct insurance for their needs. She will sit down personally with her clients and go over each medication to be sure they get the very most appropriate insurance for their money. Even better though, she not only knows Medicare, she knows health insurance of all kinds. She has been so kind to help family members sort through the tangle of insurance terms to determine their best options. We get timely information when things change or are scheduled to change because Marilyn keeps up with the latest! Thank you Marilyn Swanson for helping our family and friends with their health insurance needs.